In the quest for greater operational efficiency, many organizations recognize the need to optimize document scanning and capture workflows within their operations. However, before selecting a capture hardware or software solution, it is important to understand your current workflows to avoid the common mistake of selecting technology and then trying to fit your workflow to it. Your workflow processes should align with the desired outcomes for speed and cost reductions in conjunction with selecting the best technology to further those goals. If you plan to incorporate all of the enterprise’s inbound documents into your capture workflow, the first step is to identify the types of documents you want to capture, the current manual workflows for those documents, and the archival requirements. Engaging in this analysis will often reveal potential opportunities to enhance workflows with automation. In addition to inbound documents, consider whether there are additional documents being stored in file cabinets, closets or at costly storage facilities. 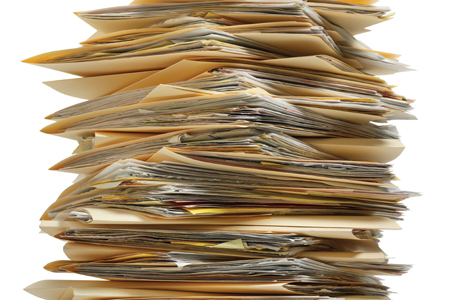 Documents that are being archived physically can leave your organization vulnerable to audits and pose a compliance risk regarding record retention policies. For these reasons, it makes sense to consider including a back-file conversion as part of the redesigned workflows, which will result in all documents being stored securely in electronic format for their retention periods. It is also important to keep in mind the future of the document images and the pertinent data needed from them. Determine the index fields that are critical to each document type to ensure that the right data will be collected and interface with other business processes and archival searches. Making a choice between a centralized or distributed approach when it comes to a capture solution is a key decision point. If all documents are routed to a centralized scanning location, finding a solution that has the ability to process multiple batches simultaneously will increase throughput and provide failover options. Choosing a centralized approach will also have implications for hardware selection, as it will require reliable document handling and image quality on high-speed scanning equipment. On the other hand, a distributed solution will require compatibility with multi-functional devices and a user interface for ad-hoc document indexing from remote locations. The type, location and usage rates of scanning devices deployed in various locations will impact maintenance and usage fees for the solution. With a distributed approach, secure transfer methodologies should be included and a commitment from IT will be required to maintain secure connectivity and equipment maintenance. It is a best practice to require that potential solution providers demonstrate capabilities with your most common applications as well as your most problematic or complex applications. Providers should be able to clearly demonstrate how they can solve the problems you are experiencing now. Solution providers continue to enhance capabilities with document classifications and OCR readability. In order to choose the best solution, it is important to be realistic about your documents and how they are constructed. In particular, identify whether they are standardized, containing structured data, or unstructured documents that may even include hand-written notes. Having a high volume of unstructured documents in the workflow will impact OCR acceptance rates, particularly in accounts payable processing, and will require the solution to have clean exception handling capabilities. Steps to optimize the capture process will vary depending on a particular organization’s readiness for a capture solution. Overall, best practices will include integrating the capture solution into existing business workflows and ERP systems. Accomplishing these tasks will require a commitment from IT to integrate the solutions. A loosely coupled capture platform will provide the flexibility to interface with other workflows, archival systems and even the use of Robotic Process Automation as these technologies emerge. Multichannel import options, including mobile, may not be something an organization is ready for and may not come as part of the standard solution, but they should be available as an add-on to a chosen solution. These four steps are a solid start to lead your organization toward an optimized in-house capture operation, driving your strategy as you move from your current state to a desired future state of streamlined, efficient document workflows. Susan Cotter is an analyst at Madison Advisors, which specializes in offering Fortune 1000 companies context-specific guidance for a range of content delivery strategies, particularly those addressing enterprise output technologies and print and electronic customer communications. Cotter has over 20 years of experience consulting in the business communications and business process outsourcing (BPO) industries. Connect with Madison Advisors on LinkedIn at www.linkedin.com/company/madison-advisors or on Twitter @madison_advisor.